Teams from each of the Clark School’s departments go head to head in an ultimate showdown for bragging rights and glory, competing in a spirited competition judged by the Clark School faculty and a panel of notable alumni. 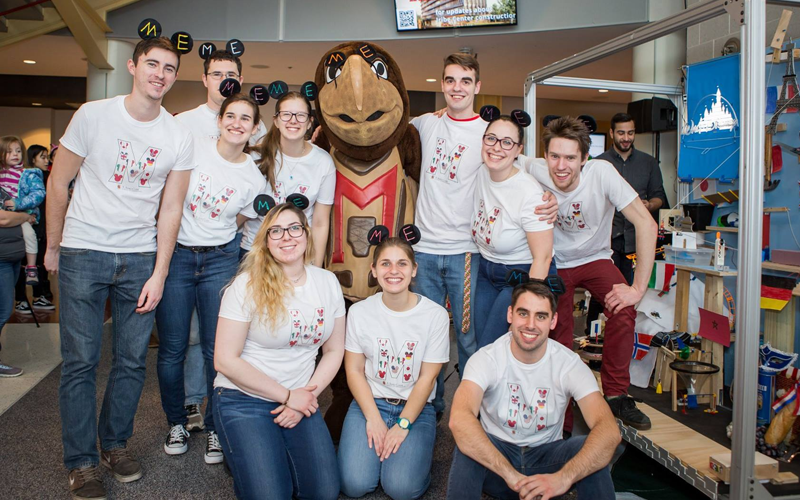 The student members Terps Racing team feel the need for speed, building winning race cars with a history of excelling in motorsports all over the US. Competition victories include a National Championship in the Sports Car Club of America Solo Formula SAE Class, where the team’s car set a new event speed record. Formula SAE® is a student design competition organized by SAE International (formerly Society of Automotive Engineers).